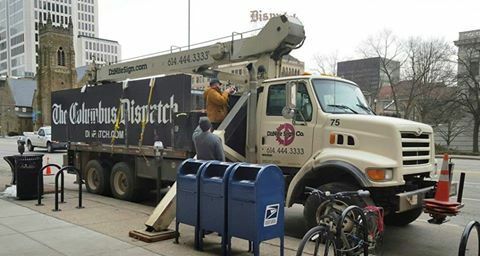 DaNite Sign Company is proud to have built & installed the next generation of Columbus Dispatch sign at 62 E Broad Street! The modern iteration in signage is made of routed aluminum and edge illuminated push-thru acrylic with opaque white faces. This fabrication technique creates a halo effect around each character and is internally lit with power saving and environmentally friendly LED modules. No word yet on exactly what will happen with the historic neon roof-top sign on the old building, we’re curious too, but we are tickled to be part of the newspaper’s ongoing history in it’s new location. 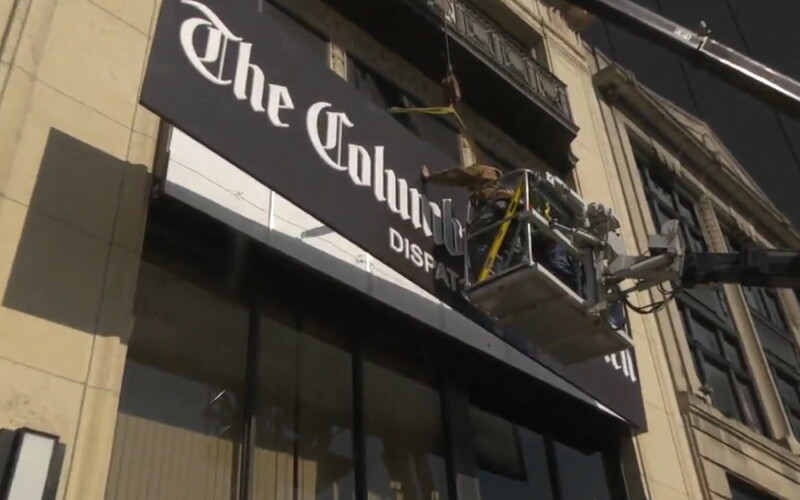 Be sure to watch the video that the Columbus Dispatch created to celebrate the installation of their brand new sign!